When you're on a call and you want to record it, open ACR Call Recorder and press the record button. We will put your call on hold and dial our recording line. 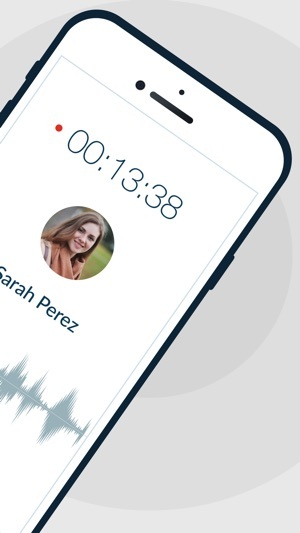 As soon as our line answers tap the merge button on your screen to create a 3-way call between your other caller and our recording line. 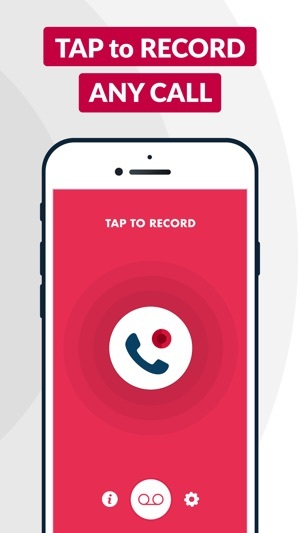 If you want to record an outgoing call, open ACR Call Recorder and just press the red record button. The app will dial our recording line and will begin recording as soon as our line answers. Once that happens, tap the add call button on your screen, call the person you want to record, then press the merge button when they answer. Yes, and we've made it extremely ACR to do this. 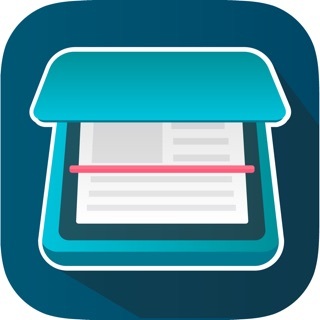 From inside the app you can attach the recording to an email and send it to yourself as an MP3 and download to your computer if you want. As long as you want! We don't have a limit on how long your recording can be. 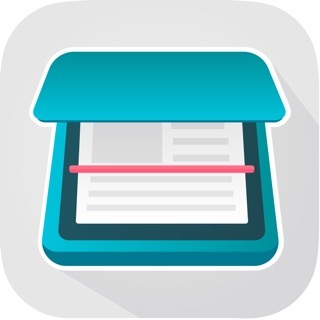 ACR Call Recorder offers subscriptions for premium users. Your payment will be charged to your iTunes Account once you confirm your purchase. Your iTunes account will be charged again when your subscription automatically renews at the end of your current subscription period unless auto-renew is turned off at least 24 hours prior to the end of the current period. Where applicable, any unused portion of a free trial period, if offered, will be forfeited when the user repurchases a subscription. You can manage or turn off auto-renew in your Apple ID Account settings on your phone any time after purchase. I just downloaded this call recorder app and recorded my stalker’s phone call. He has been harrasing me for a quite some time and finally I had enough evidence to send him where he belongs. I want to really thank to the developer of this app, they literally saved my life. I wish I knew about this call recording app before. Also, thanks for letting me try the app for free. Hi, thanks so much for taking your time to review ACR Call Recorder. We are really happy to see that our app provides a real value and make your life easier. Please contact us via support@acrcallrecorder.co if you have any questions or feedback. I am not one to usually write reviews, but I couldn’t help myself! 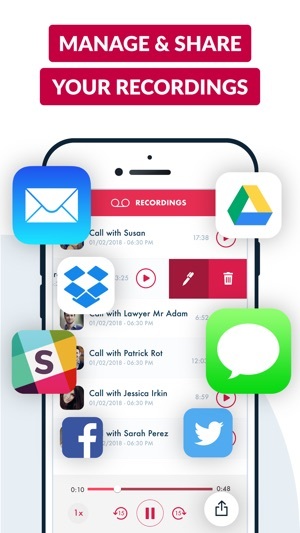 If you are looking for a call recorder app application look no further. This call recorder for iPhone app is wonderful because of how user friendly it it. I love that you are able to do everything by the touch of iPhone. I can record a call and access recordings right after the call. Also they give free recordings which it helped me test the app and I’m very happy with the results. I compared Acr app’s price with other call recording apps and realized that Acr call recorder’s price is pretty much the most affordable. Thanks so much for creating a such a great app! 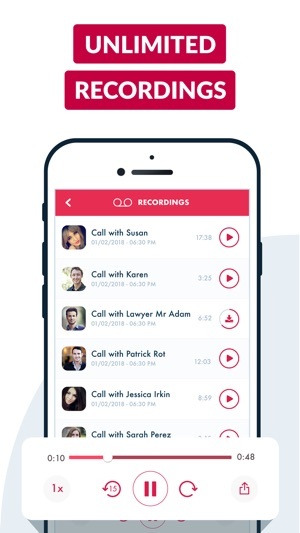 I have been looking for an app to record a phone call and this app is just a perfect one. It has a very user friendly interface and very easy to use. just need to call the service number first from the app, then call the person you want to record and merge calls. 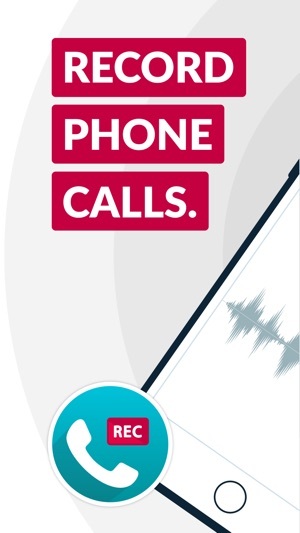 Acr call recorder does the rest automatically and call recording is ready to listen and share after the call. What else I can ask for. Perfect solution for phone call recording.